After living and working in rural Kenya for over four years, Graham was tired of smallholder farmers being taken advantage of. Founding LishaBora, he set out to disrupt the status quo, and break the barriers that exist between rural agriculture and prosperity. Graduating from Prescott College in 2010 launched him into a career of working as a sailing, SCUBA and marine science instructor in the Caribbean. It was there that he built his desire to have a richer impact and deeper meaning in the lives of his customers. Emily is a fully fledged accountant and finance professional who is passionate about championing social economic justice and development. She applies her skills and interests to connect the dots between finance and socio-economic empowerment for sustainability. She believes the world is interconnected, and that the solutions to current problems lie in finding these connections and putting them to good use. Outside of being a change-maker, Emily enjoys reading, exploring new places, cultures , decor and art. With a background in the agriculture industry and experience working with farmers across Canada and the United States, David graduated with a BioSystems Engineering degree with a specialization in sustainability. 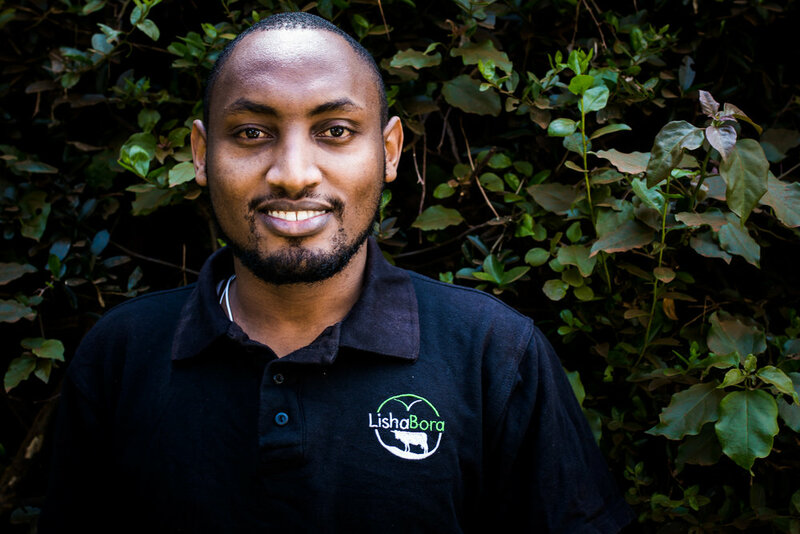 Having a strong passion for agriculture systems and understanding the reasons why farmers across the world are trapped in poverty, David moved to Kenya to help launch and grow LishaBora to a company that addresses these systemic issues. Valerie is an ambitious and compassionate person who builds strong relationships with LishaBora's customers to help them achieve their life goals. She holds a Bachelor's in development studies from Mount Kenya University and is experienced in managing complex projects to drive productivity improvement. She is passionate about helping others and is actively involved in community outreach programmes including capacity building and mentorship. She enjoys networking, socializing with friends and seeking out adventure in nature. Derek is a full stack web application developer with 5 years experience in development. Being in love with technology and software based solutions, he is dedicated to tech research and creating tech solutions for every day life. He is interested in multi-system engineering aggregating sub-systems to achieve optimal functionality of one system. The urge to achieve more is what makes him excel in software development. At LishaBora he has been pivotal in developing the V3 technology of the business management mobile application. Roy has a background in sales and marketing with 8 years of experience in Business-to-Customer (B2C) sales in the communication industry in Kenya. He is a peoples person who is strongly committed to building new relationships while fostering better societal integration and upbuilding of low income communities. His interests include expanding his knowledge of new places, cultures and innovative solutions within social impact enterprises that address persistent and adaptive problems affecting our society. Eric is an experienced and dedicated mobile app developer with more than 3 years of expertise in the Software Development industry. He loves developing solutions that create a positive impact in society and that improve peoples’ lives through the use of technology. Software development enables Eric to achieve his impactful mission and at the same time have fun doing it. He primarily focuses on mobile solutions at LishaBora and is leading the front end development of V3 of LishaBora’s business management mobile application. Having graduated as a Mechanical Engineer and after working in Alberta's Energy Industry for 3 years, Monika decided to switch career paths and pursue her passion of using photography and the art of communication to empower marginalized communities and ensure access to equitable opportunities for all. She is passionate about travelling the world, spending time in nature and playing her ukulele. At LishaBora's, she's been focused on advocating the mission of the company to the general public and to her investors through social media. Emmanuel is a technology enthusiast who thrives in writing code to change the world. He has 2 years of android code development experience is applying his learned skills as the Quality Assurance Officer for LishaBora, testing the repeatable functionality of our mobile application so that it is ready for and meeting the expectations of our dairy trader customers. His passions are software development as it keeps him motivated to achieve more in life and in his career.